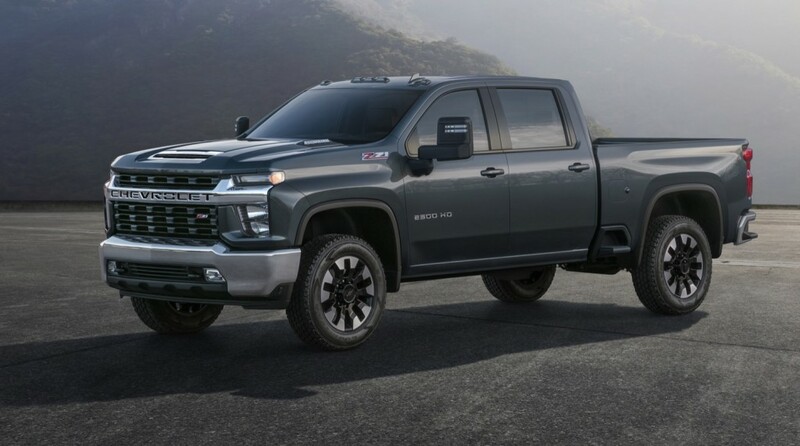 To say the 2020 Chevrolet Silverado HD was met with an unenthusiastic response would be an understatement. 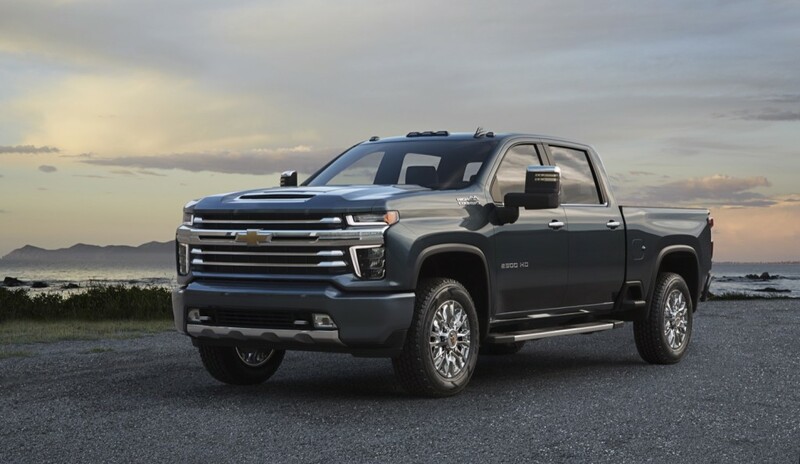 The first photos and information on the revamped 2020 Chevrolet Silverado HD lineup released this past December, and the response was big. Not in the best way, though. Now with a full reveal, which took place yesterday in Flint, Michigan, ahead of the 2019 Chicago Auto Show, we want to know if you have a second opinion on the heavy-duty pickups. We ask because, well, the new photos make the truck look better. The lower-trim levels don’t see the big gaudy chrome grille strip, which kind of makes the Silverado HD look like an appliance. Maybe an air conditioner. Instead, the body color grille strip almost gives off a Camaro vibe, and we can see some design language shared with the 2019 Chevrolet Blazer. We expect to see this kind of look translate to more Chevrolet crossovers, especially the next sub-compact Trax. There’s not much to dislike about the rear. If you love the rear of the 2019 Silverado 1500, the HD trucks look just as good. We’re also treated to a few other shots of the Silverado 2500HD High Country, which trades the split grille for horizontal chrome bars in the grille. We already said the variant had a more lovable face when Chevrolet (perhaps in an effort to shift the discussion) released a photo of the truck just two days after photos and the first info released on the standard Silverado HD. With all of that said, we invite you to vote in our poll and talk to us in the comment section below. After having a second look at the pickup, have you changed your mind on its looks? I am not really happy with the headlight stack, seems it should have been reversed and pulled in maybe?? But for some reason this truck looks great in the absolute lower trims! That Custom is a very good looking truck! The 1500’s look better in the Custom trim IMO as well! I am not really sure why chrome does not wear well on this truck (and I love bright work!!) but it does not seem to work as well. I like the Work Truck trim. I could not vote not enough choices. It’s a good-looking truck, because it looks like a truck. I agree with Chevy Guy The custom is the best looking one. Including the 1500. Get me one more !!! Get you some of that…..
Get me one more, get you some of that…. I did not vote Because ,I liked the HD from the first showing ! The LT to me looks mean ! Hard working Trucks are supposed to look mean and rugged , Not Beautiful ! The beautiful truck are for men in a suit and for ladies ! I talked to my Chevy dealer at Covert today and he has been to see at GM and he promised the new 2500 HD is “Bad to the Bone! Refresh in 18 months just watch! Outside looks great, Drivetrain options are fantastic but GM is LAST on the interior design. They’ve definitely fallen behind Ford and Ram on the interior. I dont like the poll. I was one of those who liked the new HD design and have no ‘second opinion’ about the HD trucks. HD trucks shouldnt be pretty and usually they weren’t. I only have two issues with Chevrolet with their trucks; The interior instrumentation/dash design that fall further behind its competitors and that the US Army ZH2 Silverado Chevrolet prototype design looked even better. I had no issue from the start and generally wait till I see new product in person before I make a final call. It looked good when they first revealed it and it looks better now. Especially with all the powertrain improvements. Looking at the current (outgoing) generation of HD trucks, the styling copies the lighter duty pickups, but with a generic look to them. These new trucks own and have their own front end look, without trying to resemble the lighter duty looks. The new HDs just gave GM a whole new pickup line, in addition to the lighter duty pickups. GM has pulled off something unique with this strategy. Many new buyers will now find an excuse to trade up to the HD, even if they don’t need the extra capacity. GM is adding 1,000 workers at Flint, where these trucks will be built. They must know that demand for these new HDs will be very strong. What great news for the Flint economy, in many years.